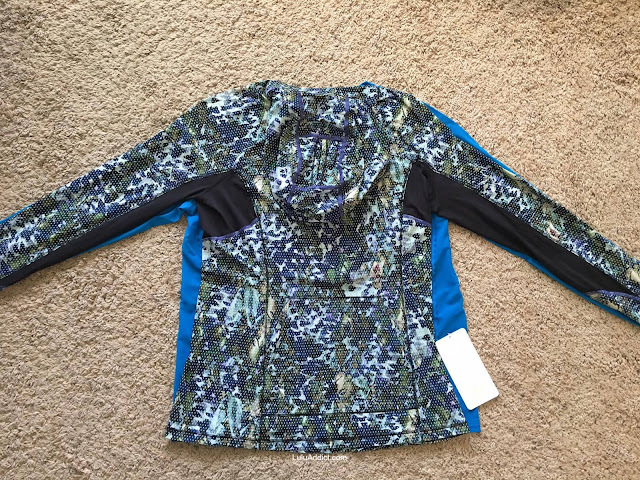 I got my Sun Seeker LS Friday but haven't had a chance to post the photos until now. 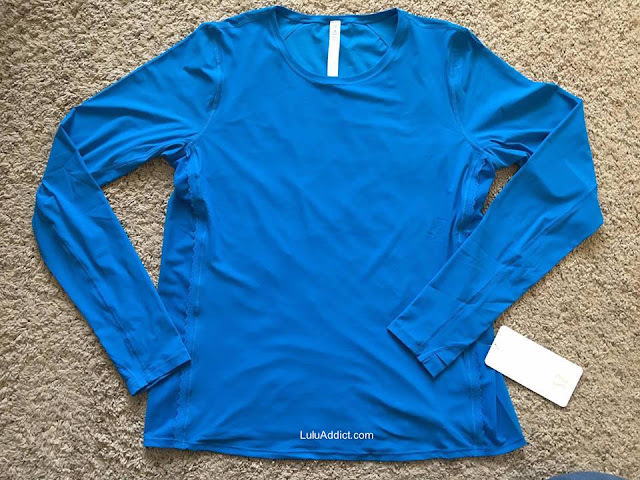 Shocking Blue is more teal than it appears on the website or in my photos and is a very pretty blue. 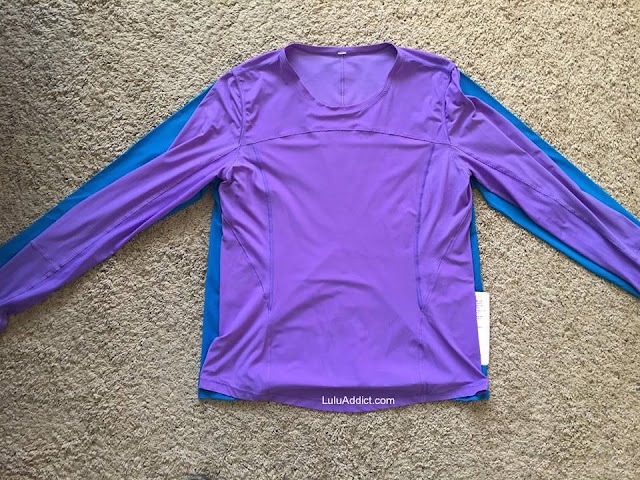 The Sun Seeker is a very basic long sleeve UPF top, similar to the Runbeam LS. I am a fan of the UPF tops since they're a perfect weight for "winter" running in my climate. 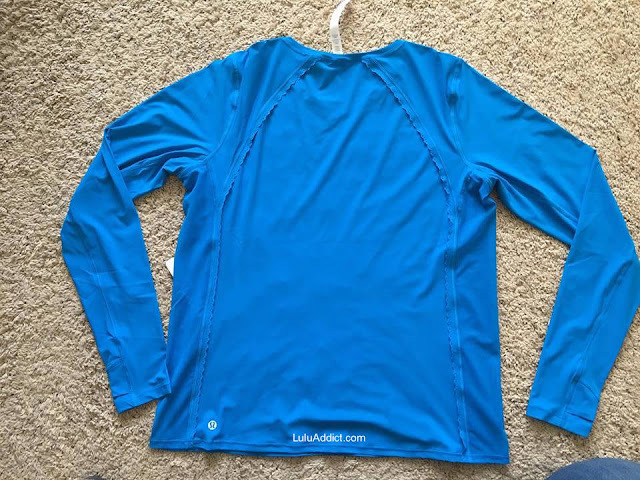 I've been waiting for a nice basic long sleeve UPF top in a pretty opaque solid color to come along again and the Sun Seeker fits the bill nicely. 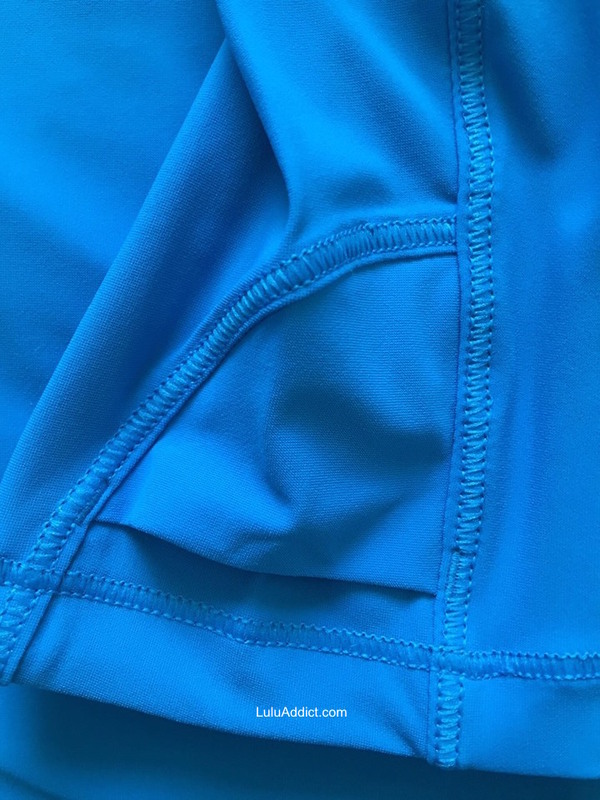 The only decorative element is a scalloped edge along the mesh insert panel that runs from armpit to hem. 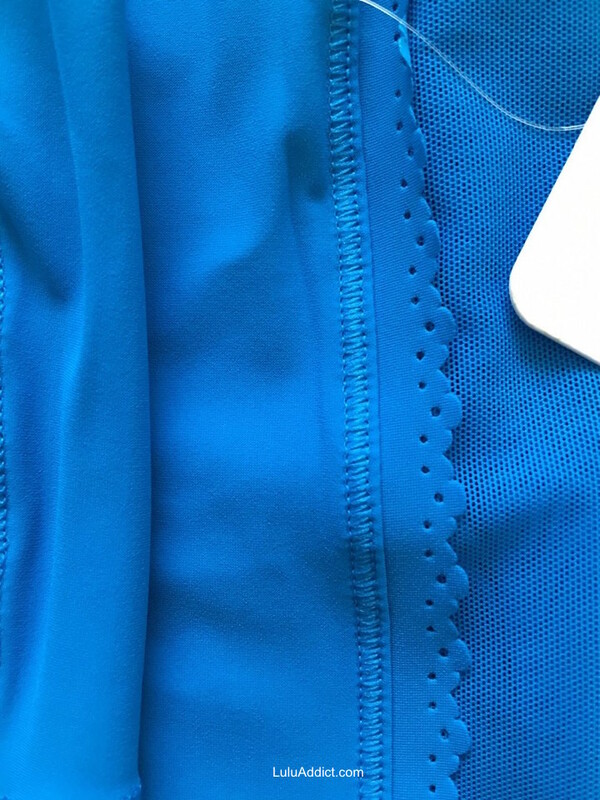 The mesh is rather see through. 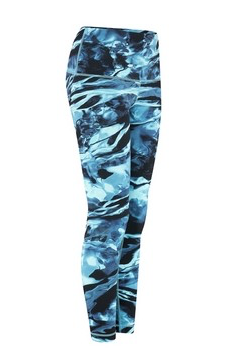 I could definitely see my bra and the top of my pants through the mesh. The thumbhole has a cover instead of a basic slit. The Sun Seeker is wider than both the Runbeam LS and Runbeam Hoodie. 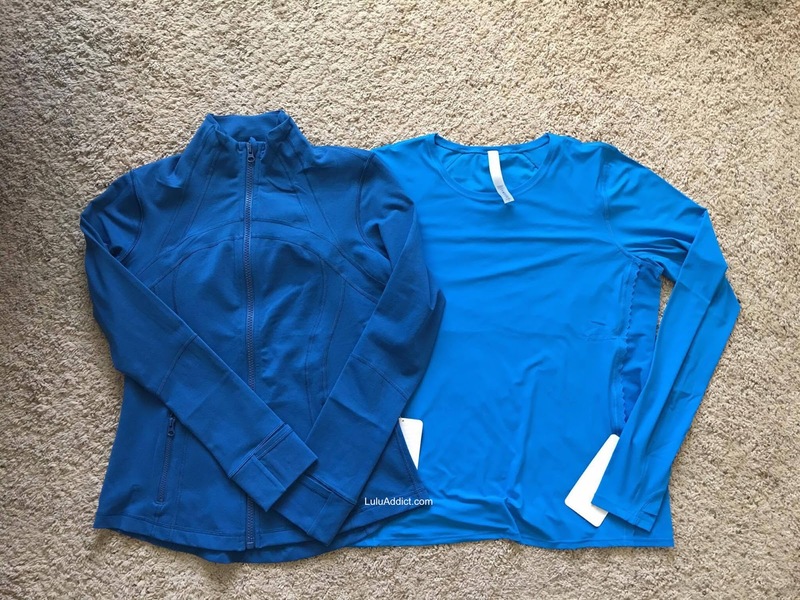 Both Runbeam tops are slightly longer than the Sun Seeker but the sleeves are the same length. I would say you might be able to size down for a more fitted look but I think you might run into trouble with the fit through the shoulders. If you look at how it fits the model on the website, it is very fitted through her shoulders and loose at the waist and hip, which means it won't ride up during running. Shocking Blue Sun Seeker next to the new Jet Set Blue Define. I tried to compare the blues. 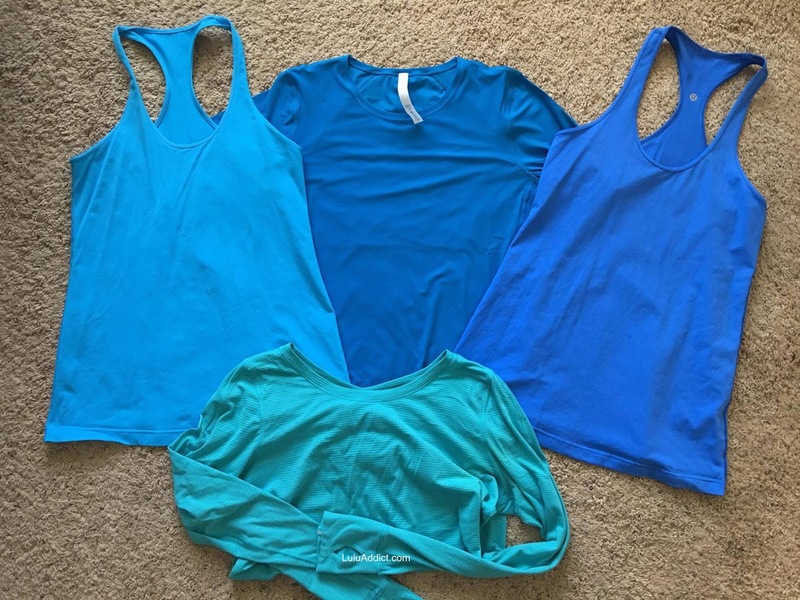 Shown here, from left to right are: Kayak Blue, Shocking Blue, Pipe Dream Blue, and Peacock Blue along the bottom. 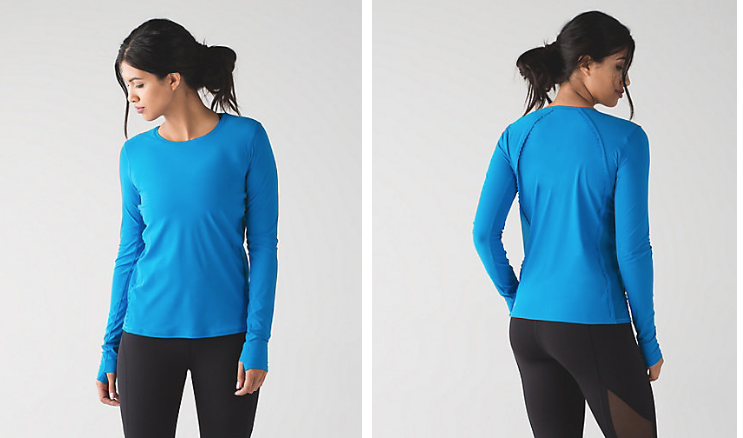 If you are in the market for a basic long sleeve UPF top definitely check out the Sun Seeker. Thanks to Ms. L. for the heads up on a foreign article revealing two new digital prints. The brown (gray?) is called Oh La Lace but I don't have a name for blue print. 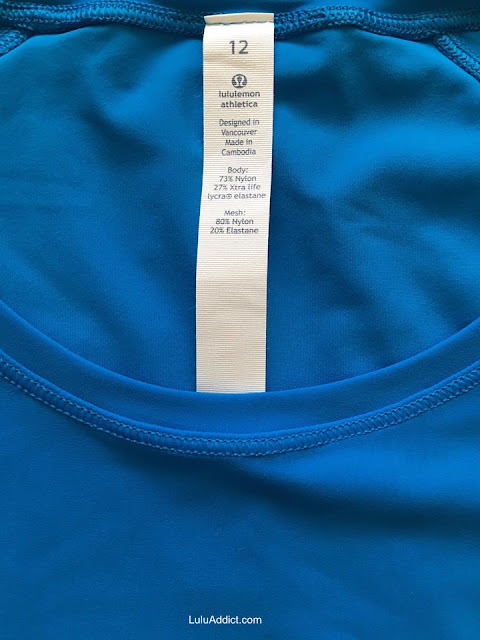 The blue is interesting but I'd need to see more photos.